Creative Director + Guest Teacher | Fun Fact: Favorite Disney crush- Aladdin. Courtney is an Early Education & Care Director Level 1 and Lead Teacher and brings 20 years of teaching experience to Lenox Preschool. Her goal is to bring a whole child perspective on early childhood development. While in the classroom, she loves to provide opportunities that nourish the body, the spirit and the senses. You can find her with the children making messy art projects, creating the monthly calendars, crafting food art, leading movement stories, teaching yoga or capturing conversations for the weekly newsletter. She is honored to be part of this amazing preschool. Creative Dance and Movement Teacher | Fun Fact: Inspired to learn to play the guitar after owning one for 20 years. 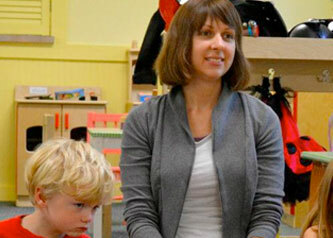 Jeanne is happy to be returning to Lenox Preschool as our Creative Dance and Movement Teacher. Jeanne has a Master’s degree in Special Education and started PlayReflections® in 1987 after discovering the power of play to transform both children and adults. Jeanne believes in the healing power of play and its role in promoting health and self-esteem. 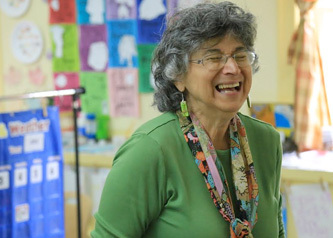 She values each participant as a resource, and her playshops reflect her philosophy that “life’s adventures unfold magically when people feel good about themselves.” Jeanne loves teaching the children songs as well as ways of sharing, being, taking turns, listening and interacting with one another in an outrageously fun yet safe, structured and supportive way. Music Playgroup Teacher | Fun Fact: Adores salamanders. Jeanne loves sharing her two favorite passions with us; her love of music and her love of children! An early childhood educator, mother of two, jazz singer and performer, Jeanne has trained in the Music Together methodology. 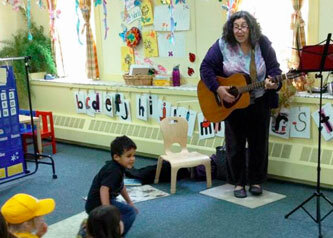 Jeanne joyfully and enthusiastically teaches songs, rhymes, instrument and movement exploration to our preschool children. Jeanne artfully creates beautiful, seasonally themed flows of songs, finger plays, rhythmic chants and movement activities to support a whole child immersion into the magical world of music. 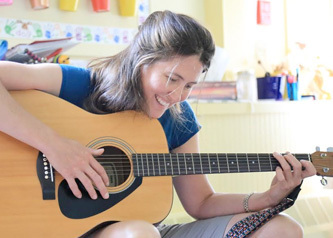 She also leads musically inspired play dates at Lenox Preschool for children ages birth through five and their caregivers. Coach Jane has been with us since early 2014. She visits weekly to help with developing social, emotional and interpersonal relationship skills. Jane Satullo Shiyah has a Master’s degree in counseling psychology and has 45 years of experience in schools and other social agencies. Reading Teacher | Fun Fact: Loves to cook for her gourmet catering company – Peppers Party Service and to babysit for her favorite preschool kiddos! Rebecca studied at Northeastern University and maintains a private practice in Lenox as a Counselor and Special Education Consultant. She also works as a group facilitator for the Brien Center. She moved to the Berkshires 20 years ago to raise her two amazing daughters, Samantha, 29, who is a yoga teacher and actor in Great Barrington, MA, and Courtney, 23, who is teaching English in Madrid, Spain and getting ready to enter law school. 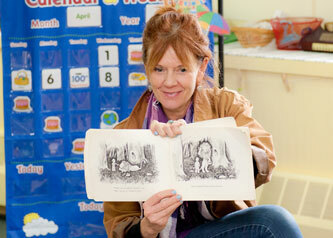 Ms. Rebecca loves working with children and adores being a specialist reading teacher at Lenox Preschool! Rebecca is often accompanied to school by her reading pup, Stanley. Her other interests are spiritual psychology, hiking and cooking. Sarah is an Early Education & Care Director Level 2 who has over 20 years experience in early education and care. Sarah is a mother to four, and many parents know her through her youngest son. Sarah brings not only a wealth of information as a Parent Educator and Child Advocate but also as a Responsive Classroom Model trained lead teacher. Sarah is an integral member of our team, helping our program and teachers grow professionally throughout the year. She loves children and has a passion for supporting whole child growth and development. Jessica joins our classroom each Monday and Wednesday from September to January. 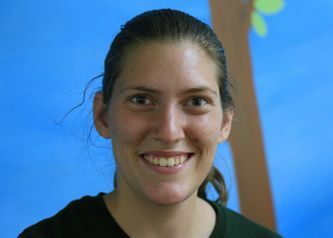 Jessica is a third year Early childhood education major at Berkshire Community College. She is looking forward to communicate and engage in the lives of children from newborns to 8 years. Jessica would like to gain experience and motivate children to acquire and improve new skills. Jessica is super excited for a great year!